Join Stefanie Eris for an incredible week of relaxation and rejuvination at the magical Suryalila Yoga Retreat Centre in Andalucia, Spain. 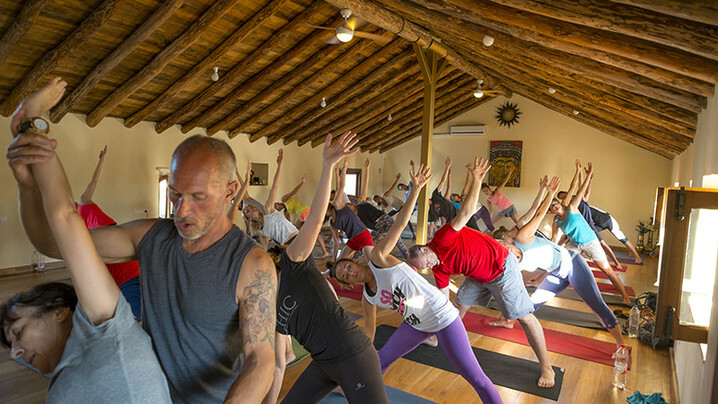 With expert yoga instruction, fresh, locally sourced cuisine, daily walks, sunflower fields, and so many of other actives, this trip is the perfect way to renew and recharge for spring. 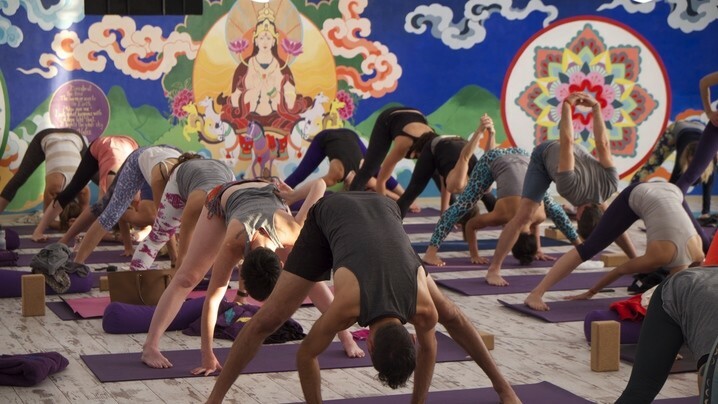 Daily morning and evening yoga practices will include a combination of vinyasa flow, power flow, yin + restorative yoga, meditation, yoga nidra, and philosophy discussions. Not included: flights to/from Seville Airport (SVQ) and travel insurance. Guests are responsible for purchasing travel medical insurance and cancellation insurance which are also not included. Stefanie first discovered yoga while she was studying theater as a way to find neutral in the body and mind. In 2005, she stumbled upon exhale mind body spa, and knew that she had stumbled upon a practice that would change and support her life. She received her certification at Laughing Lotus College of Yoga under the guidance of Dana Flynn and Jasmine Tarkeshi, and has continued her studies with some of the greatest teachers of our day. Stefanie’s vinyasa flow classes are heavily focused on breath, sweat, alignment, rhythm, and repetition. She designs her classes in a creative and intelligent way, incorporating dynamic movements and fluid transitions to dive deeply into your body and breath... allowing you to tap into the subtle realms of your being, and to dance with spirit. The property sits on 45 acres of land and is still a working olive farm with 350 olive trees. We also grow organic vegetables and fruits and keep chickens for eggs. 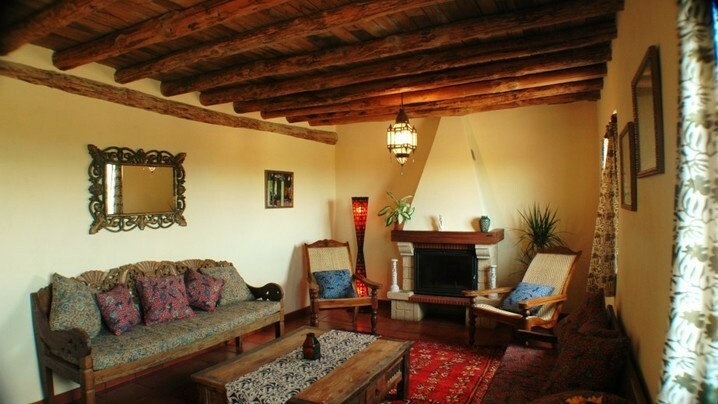 Suryalila is nestled serenely in a large open valley in the foothills of the Sierra de Grazelema. This majestic mountain range can be seen looming large on the horizon behind Suryalila. A striking part of the natural beauty of the property is the breathtaking vista extending in all directions: rolling hills, fields of sunflowers, and lakes. The sense of vastness and expansiveness is very uplifting. Matt Giordino is such an amazing teacher. I will look for him again. Suryalila is a little remote. I would love Formentera. Or Ibiza. I will travel for him anywhere. Great trip, thank you triptribe. This was possibly the most relaxing experience I've ever had. The property is stunning and the rooms are beyond comfortable. While the food was definitely delicious, after 3 hours of yoga a day and activities, need a little more food in my food...eggs and more carbs would have been good. It's a little heavy on the veggies for all the calories you are burning. Join Stefanie's Tribe and stay up to date on their trip!